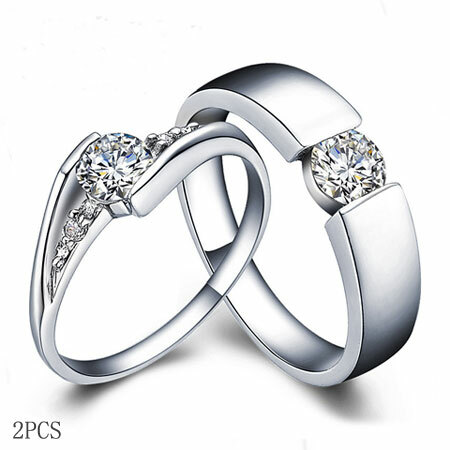 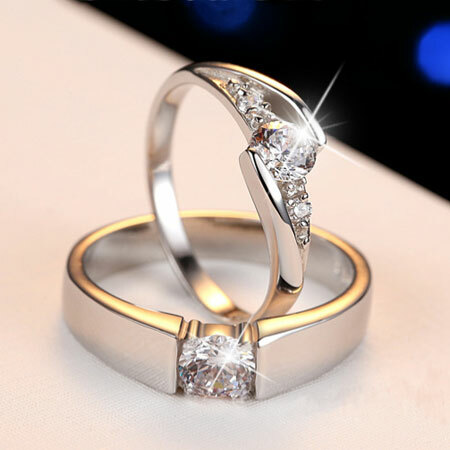 Classic style of wedding engagement rings with brilliant cubic zirconia stones . 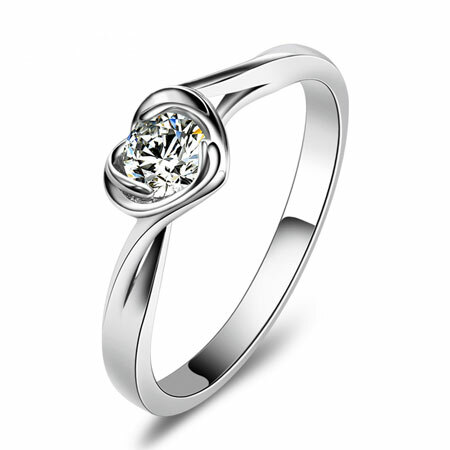 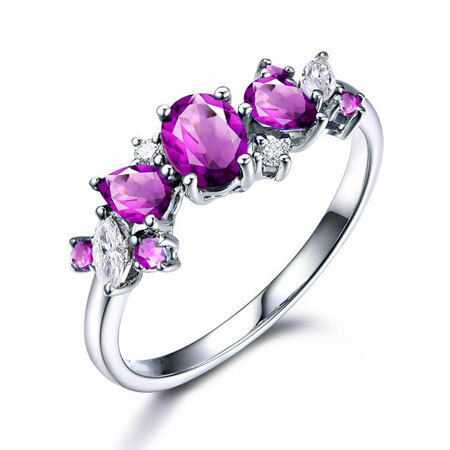 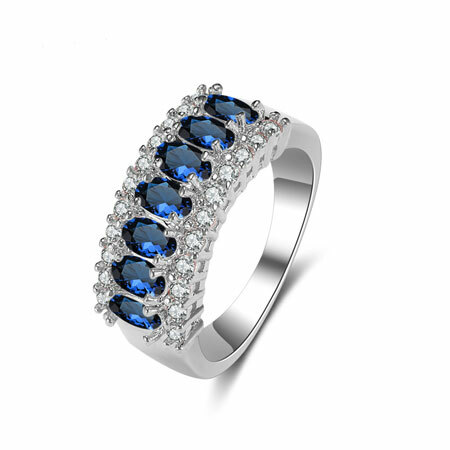 It is made of 925 sterling silver with white gold plated. 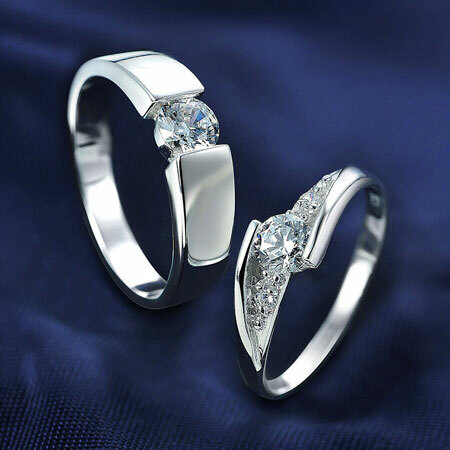 Eight heart and arrows round cut cz stones look shinning and you do not need to spend a lot of money on diamond rings and still the most attractive couples. 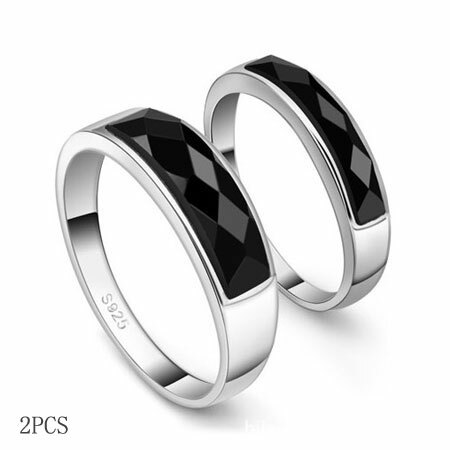 2 pcs are included in the price. 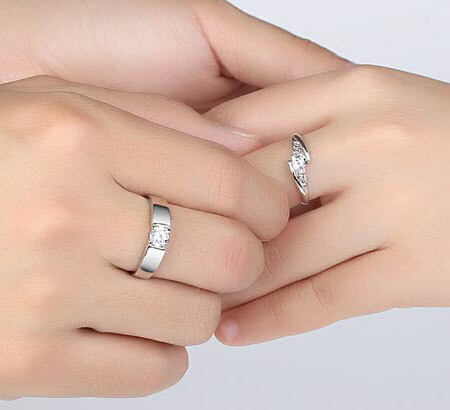 Ring Size: US4-11 (Please refer to our Ring Size Chat. 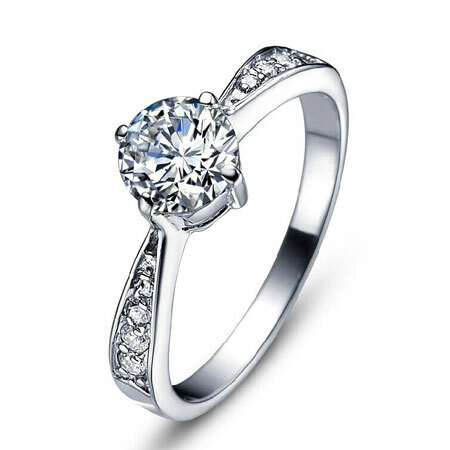 Shinning and affordable cz engagement rings. 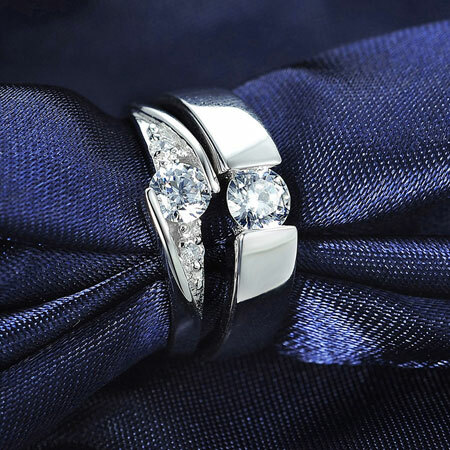 You can also have your wedding date or name engraved with maximum of 8 characters.